On my first day as executive director of Great Peninsula Conservancy in February 2008, I knew I had found my dream job. Now I could direct my lifelong passion for nature, expertise in wildlife ecology and nonprofit management, and hard-earned skills in fundraising, program development, and team building toward saving lands close to home. What could be better than that! I also knew it would be hard work to rebuild a small, struggling nonprofit. There were days when it seemed too much. But I had confidence in myself, a drive to succeed, and you on my team! Sandra speaks to members in 2008 at the first GPC annual gathering… now Spring Dinner! You, the GPC community, continually came to the rescue. You, GPC’s board, shared the vision for GPC’s future. You, GPC’s staff, lent dedication and excellence to our work. You, GPC’s partners, brought unique perspectives and skills to achieve successes. You, GPC’s members, directed your own passion for the outdoors, energy, talents, and dollars to lift up our vision of saving the places we all love for wildlife and people. You are my heroes! 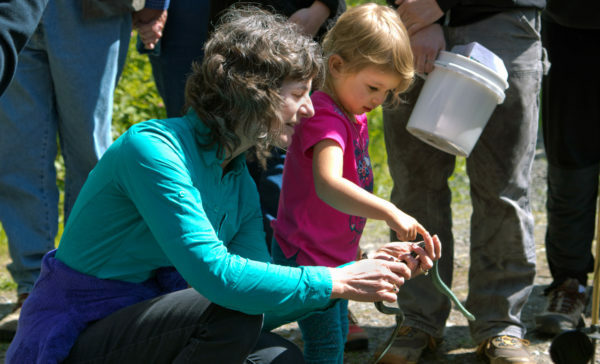 Together we have grown Great Peninsula Conservancy into a regional powerhouse with deep connections to local communities, annual financial growth, healthy cash reserves, and a portfolio of conservation lands over 10,000 acres! 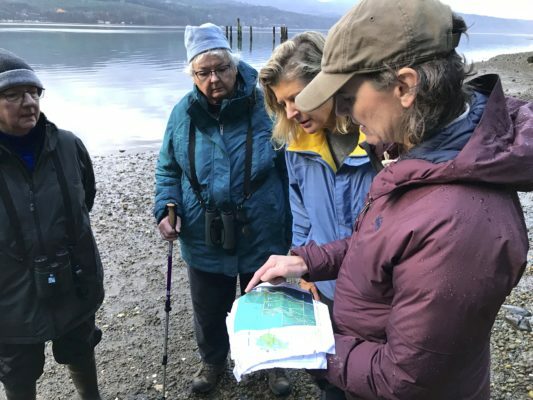 We have rallied public support for protection of our region’s iconic fish, wildlife, lands, and waters, including Petersen Farm, Grovers Creek Preserve, Filucy Bay Preserve, Port Gamble Forest Heritage Park, and our new Hahobas Shoreline Preserve. After eleven years as executive director of this incredible organization, I am retiring at the end of May. I am ready to turn leadership of our vibrant land trust over to someone new — someone with his/her own passion, expertise, and skills to lead GPC on the next leg of its journey. I am confident that with each of you on the team, Great Peninsula Conservancy will continue its awesome work protecting our lands and waters for generations to come. I never dreamed we would accomplish so much together!